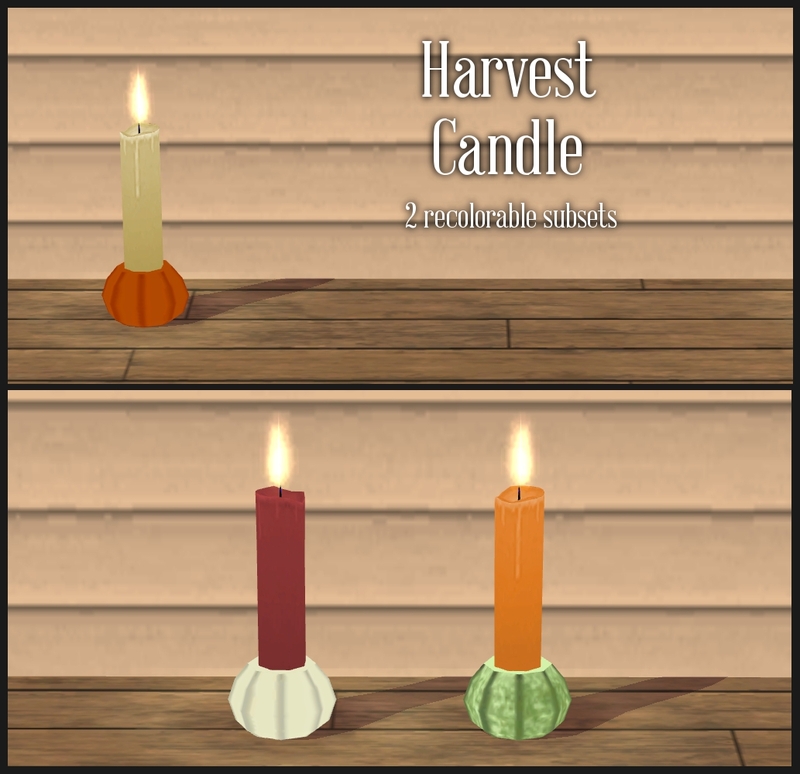 Update 10/21/17: The candle was in the wrong catalog section (misc>misc), I've now put it back in the right one (deco>misc). If you don't mind it being in misc>misc, there's no need to redownload, but if you'd like it in deco>misc, go ahead and grab the new one Thanks for the heads up, Rosawyn! 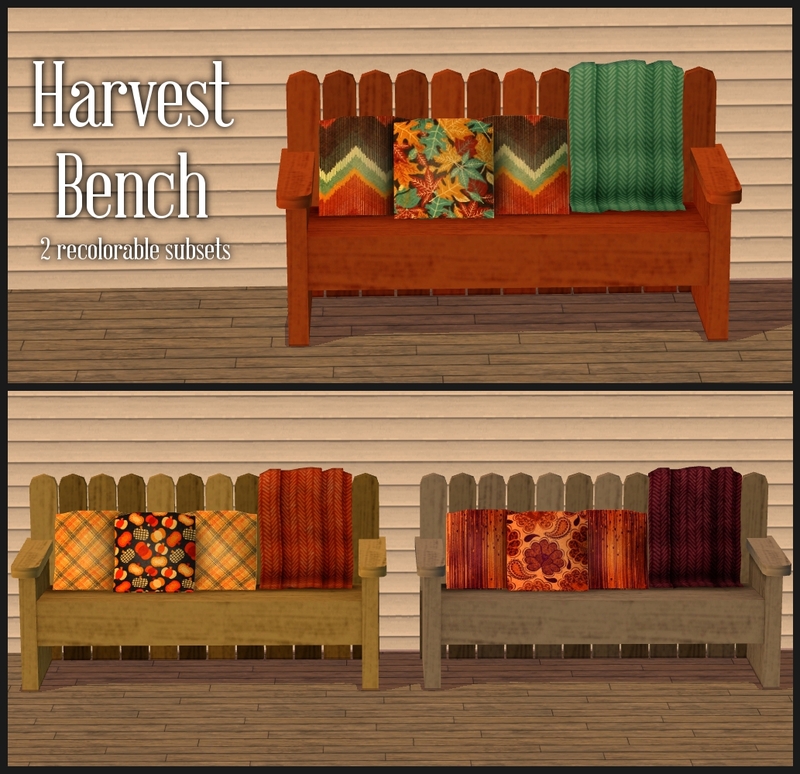 This set was made with the intention of it being porch decor, though it wouldn't have to be. 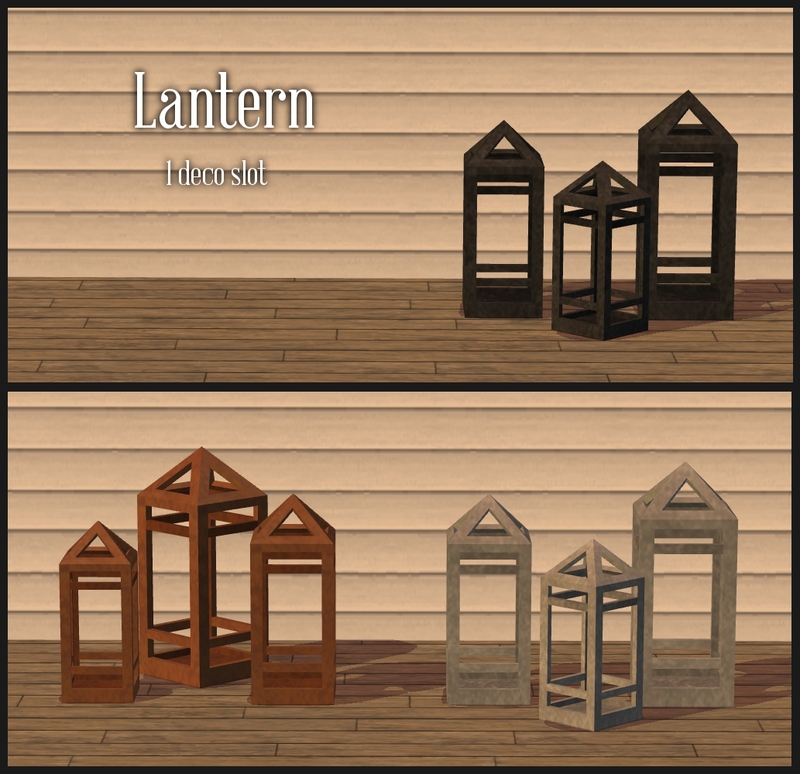 But as that was my intention, if you use room sort in the catalog, it's all only in Outdoors. Function sort locations are listed in the table bellow. 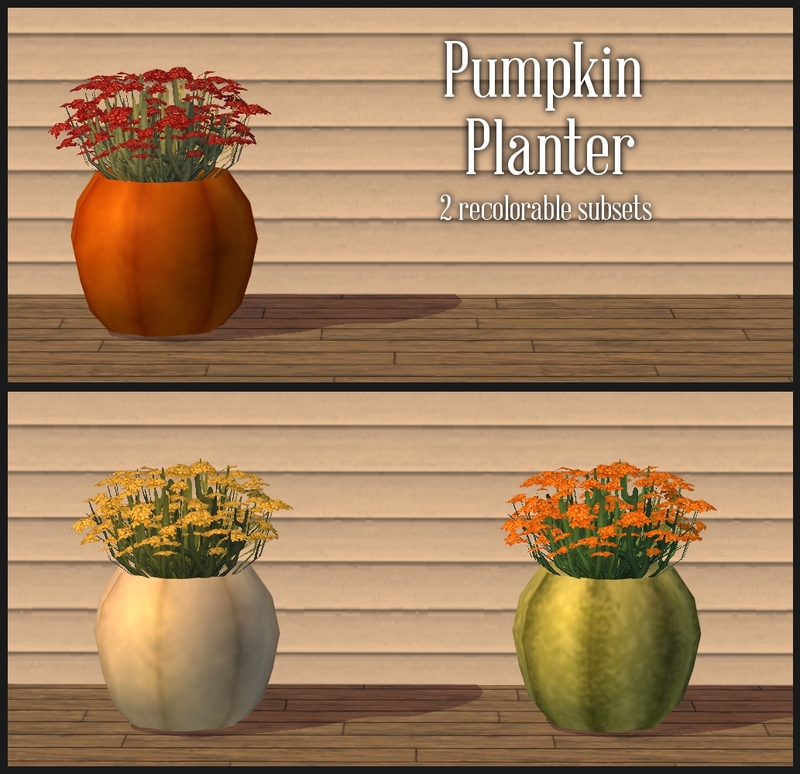 The plants (just the plants, not the planters) and the lanterns are modified TS4 conversions. 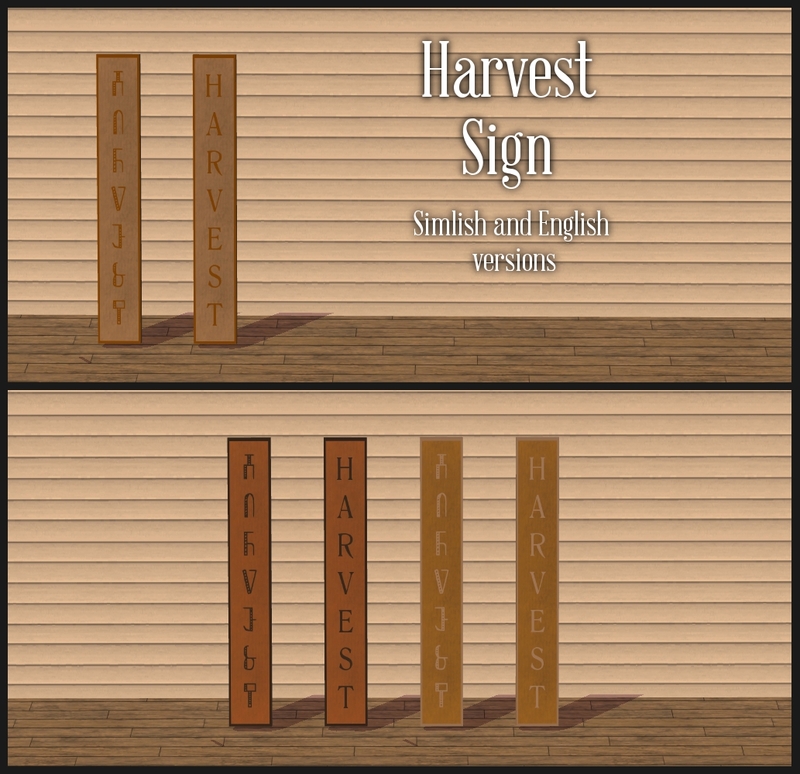 Everything but the Harvest Sign and Lantern has 2 recolorable subsets. 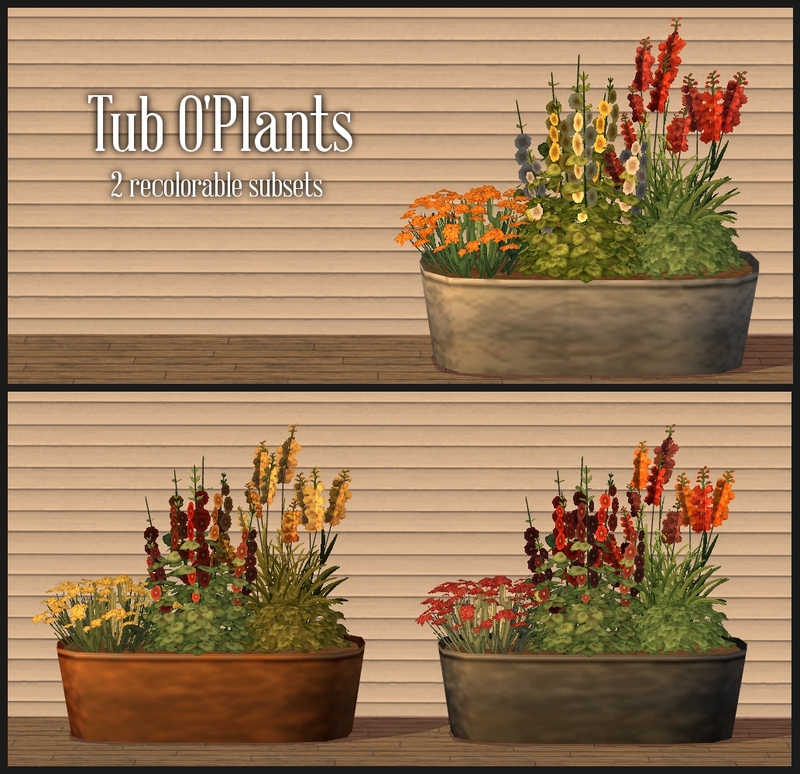 Yes, the Tub O'Plants is pretty high poly, but it does have 4 plants in it. and sits on 2 tiles. (It looks like only 3 plants, but there are actually 2 Hollyhocks. I think that's everything you need to know. Enjoy! 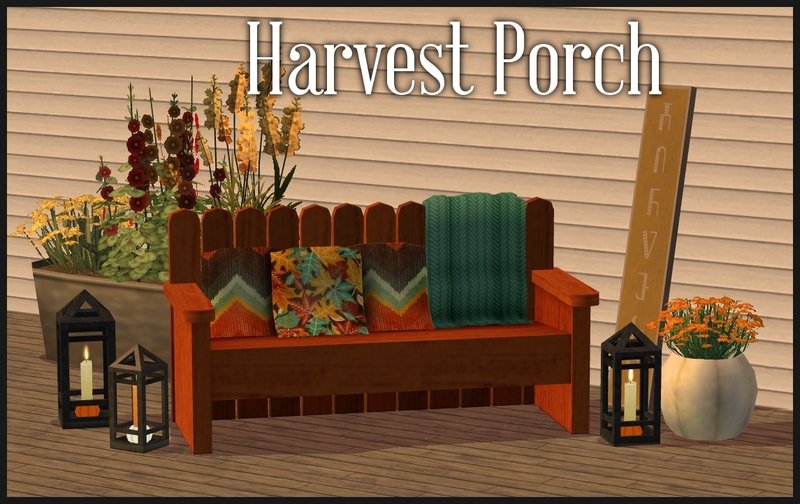 185 people have said thanks to justJones for this download.